After a “very intense” summit with leaders of NATO member states earlier this week, U.S. President Trump has claimed that he has managed to secure commitments from the European leaders of NATO member countries that will see them increase their military spending. I told people that I’d be very unhappy if they didn’t up their financial commitments substantially. “There is a lot of interest in [Patriot Missiles], so much so we are doubling our capacity,” Delgado told Defense News, adding that even though Lockheed was currently meeting demand, “it is getting more difficult as more orders come in, and that is why we are foreseeing, along with the U.S. government, a point where we need to increase our capacity.” The increase in demand would translate into the production of up to 500 Patriot missiles per year and would likely require the company to add an additional production line. Some of that increased demand comes from deals that were made with NATO members Poland and Romania earlier this year, who are new customers for Lockheed’s Patriot air and missile defense systems.Romania plans to buy 168 missiles as part of its recent order, while Poland plans to purchase 208. Sweden, a NATO ally, also intends to buy around 200 such missiles from the U.S.-based weapons company. Each missile costs around $3.4 million. 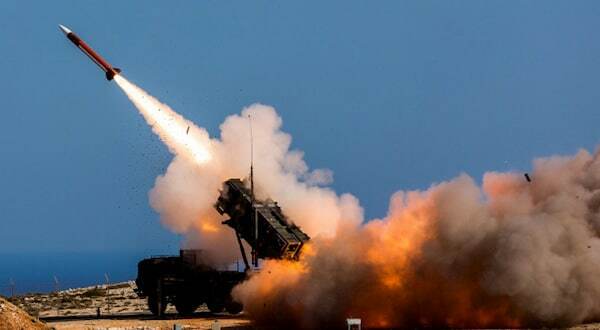 Delgado also noticed that orders have increased from the U.S. government itself, which decided to increase its order of missiles per year between fiscal years 2018 and 2022 from 95 missiles per year up to 240 missiles per year, at a cost of more than $800 million. Congress has already approved the sharp increase in government missile purchases.